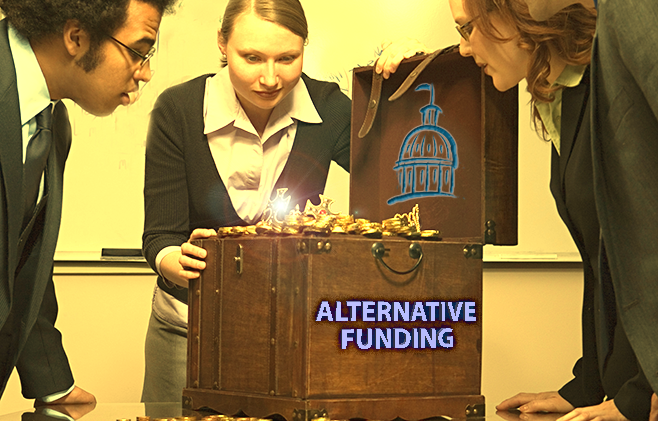 “Alternative Funding is an eclectic mix of mini-grants, special opportunities, and unique programs that has something for everyone. You never know when you will find a resource just perfect for that niche you have been trying to fill. That's what makes treasure hunting in this grants grab bag so rewarding! This program was created to support important innovations in correctional practices or policies from state, federal, and local corrections agencies. By identifying, assessing, and celebrating important innovations in corrections, NIC will help build and sustain a national process of discovery, innovation, and improvement that touches corrections agencies across the country. Eligible applicants are departments of corrections; correctional institutions; parole, probation, or pretrial agencies; or other agencies or organizations charged with specific responsibilities in the field of corrections. Applications must be submitted online by April 30, 2018. The purpose of this program is to enhance and sustain quality, sequential music education programs in schools. The program will provide school districts with a menu of services, including identification of schools in need, gaps in equitable and sequential K-12 class offerings, current and potential challenges, and other services. Awards will include program audits, instrument inventory audits, community engagement, and consultation. School districts interested in the program may email the funding agency to begin the application process. This program honors health delivery organizations, including hospitals, health systems, integrated networks, and self-defined community partnerships, that have demonstrated exceptional commitment to community service. The funding agency will be seeking to reward applicants exhibiting leadership, commitment, partnerships, breadth and depth of initiatives, and community involvement. The winning organization will receive $100,000, a trophy, recognition at a special awards ceremony, and coverage in AHA Today and other health publications. Up to three finalists will receive $10,000 each. Applications must be received by midnight CT on April 6, 2018. This program will support educational initiatives that facilitate health care provider education, advance the quality of patient care, and align with the funding agency’s therapeutic and clinical interests. Applicants may solicit monetary donations, EpiPen Auto-Injector Production Donations, and CME/non-CME grants. Applications must be submitted by April 27, 2018. Applications will also be accepted from July 2, 2018, through September 28, 2018. Corona Tools will make funding available to support those in need by providing them with quality tools to be successful in their tasks. Up to 22 grants will be awarded per year to schools, community gardens, wellness and rehabilitation facilities, and civic events that give back to communities. Awards will consist of pre-selected tool packages with an approximate value of $1,000, in addition to shipping costs. Applications must be submitted online by April 30, 2018. The Lead2Feed Challenge aims to encourage middle and high school students to hone leadership skills by giving them the opportunity to lead, create, and implement team projects designed to meet needs in their communities and involving public agencies or 501(c)(3) nonprofit organizations. Teachers or advisors can enter a student team into the challenge once they have finished the ten-lesson or six-week Lead2Feed Lesson Track. Contest entries must be submitted online by 11:59 p.m. ET on April 6, 2018. HPB will make book donation requests available to 501(c)(3) nonprofit organizations and educators focusing on literacy, the environment, and education. The program is only open in markets where HPB operates. Pick-up of books at an HPB store or facility is required for requests, which are accepted throughout the year; however, requests must be submitted at least 60 days prior to an event. The Meemic Foundation offers a variety of grant programs for teachers in the arts; behavior modification; cross-circular education; health/physical education; history; literature; math; science; social studies; special needs; science, technology, engineering, and mathematics (STEM); and technology. Currently, applications are accepted for traditional grants, which provide up to $500 to support classroom, department, campus, and district needs; and the Masterpiece Grant/Art Contest program, which provides a $300 art supplies award to schools with entries that will be featured in the Meemic Foundation’s student art contest. Applications must be submitted online by March 30, 2018. This program seeks to recognize employers that are making evidence-based efforts to support the health and well-being of their employees and families. Employers must first attend a HAWP training session, and may then register for the challenge. Certifications of different levels of recognition will be provided, with the platinum-award level indicating that the employer has demonstrated data-driven programming and is leveraging cross-sector collaborations or partnerships improving the health, well-being, and equity in its community. Applications must be submitted online by April 2, 2018. The ECC is the only approved charitable payroll deduction solicitation of state and local municipal employees throughout New Jersey. The program is open to charitable federations and agencies that fight disease, make life more meaningful for the young and elderly, assist the impoverished, and help people become economically self-sufficient. Applications must be emailed to the funding agency by March 5, 2018, or postmarked by that date.